The body of a woman with her throat ripped out is found on Saddleworth Moor, near Manchester. She is discovered in an area where several sightings of a large black cat have been made. When analysis shows that hairs caught under the victim's nails are those of a panther, it's assumed the animal has killed its first human prey. Then a man DI Jon Spicer is investigating as part of an entirely different case is murdered in exactly the same way. Only this time the body is found in a secluded car park far closer to the city centre. 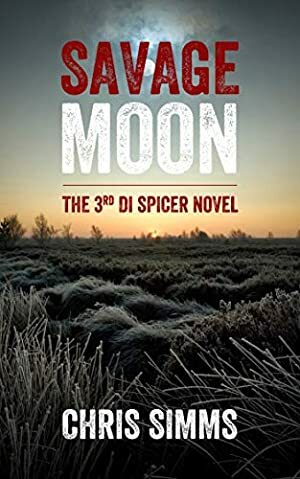 Spicer is soon on the trail of a killer dubbed 'The Monster of the Moor', a creature whose stealth and savagery strikes terror into the hearts of men and women alike. Chris Simms' acclaimed first novel in the DI Spicer series, KILLING THE BEASTS was selected as a Best Crime book for 2005 by SHOTS magazine. He was then selected as a Waterstone's Author for the Future, one of 25 writers tipped by publishers, editors and agents, to produce the most impressive body of work over the next quarter century. Since then he has been nominated several times for the THEAKSTON'S CRIME NOVEL OF THE YEAR and for CRIME WRITERS' ASSOCIATION DAGGERS. Chris lives in Manchester. Log In to track Chris Simms on eReaderIQ. to be notified each time the price drops on any book by Chris Simms. to stop tracking Chris Simms. We started tracking this book on March 10, 2015. The price of this book has changed 8 times in the past 1,507 days. The current price of this book is £3.99 last checked 6 hours ago. The highest price to date was £3.99 last reached on April 16, 2019. We last verified the price of this book about 6 hours ago. At that time, the price was £3.99. This price is subject to change. The price displayed on the Amazon.co.uk website at the time of purchase is the price you will pay for this book. Please confirm the price before making any purchases.